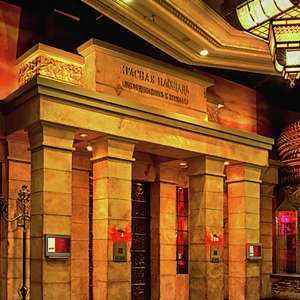 Red Square at Mandalay Bay Resort & Casino is the premier destination for fresh twists on traditional Russian cuisine. Executive Chef Christian Concepcion has created the exquisite menu – featuring easy-to-share plates including Salmon Flatbread, Pierogis, Gregorian Cheese Bread, and an impressive caviar collection. 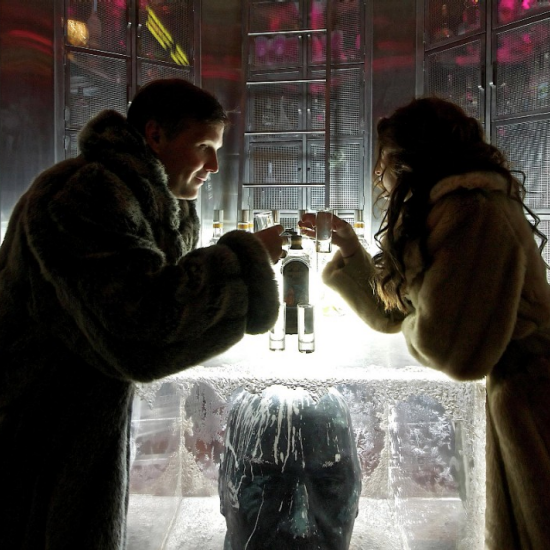 Along with its famous frozen Ice Bar and private vodka vault, Red Square features an incomparable vodka selection as well as an intriguing list of signature cocktails and martinis created by a team of master mixologists. All caviar available by the ounce. Served traditionally. Bulgarian Feta, Farmers Cheese, Farm Egg - It’s Worth The Wait. Caramelized apples, puff pastry, vanilla gelato, caramel. Meringue, vanilla chantilly cream, berry coulis, vanilla gelato. Oregon; a handcrafted spirit featuring fruits from Northwest Farms. California; a corn-based vodka infused with fresh ingredients in the bottle. *Thoroughly cooking foods of animal origin such as beef, eggs, fish, lamb, milk, poultry, or shellfish reduces the risk of food borne illness. Individuals with certain health conditions may be at higher risk if these foods are consumed raw or undercooked. 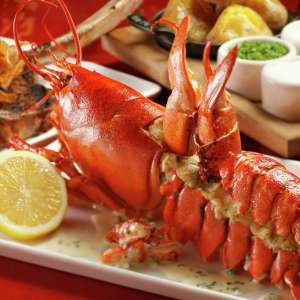 Additional gratuity may be added for parties of 6 or more. El Tesoro platinum tequila, ginger liqueur, agave, hibiscus, lime, firewater bitters. Bombay Sapphire East gin, ginger liqueur, simple syrup, carrot, egg white*, lemon, aromatic bitters. Macallan 12-year scotch, barrel-smoked maple syrup, orange and aromatic bitters. Ketel One vodka, vanilla liqueur, passionfruit, lime, pear, sparkling wine, glitter sugar rim. 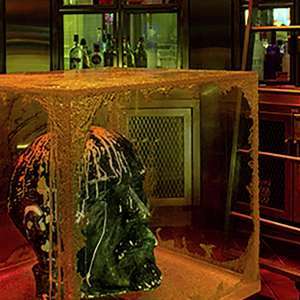 Zacapa 23 rum, banana liqueur, passionfruit, spiced honey, lime, pineapple. Walk past guest elevators to the casino floor and follow the pathway along the left hand side. Go straight until you reach the cobblestone flooring and take a right. Red Square will be straight ahead. Enter the doorways from the garage area and proceed on cobblestone walkway. Red Square will be on the left before the casino floor.